Nigel is the head of our residential team and has over 26 years’ experience in residential property work. Nigel specialises in high value property sales and purchases, operating in Hertfordshire as well as central and north London. 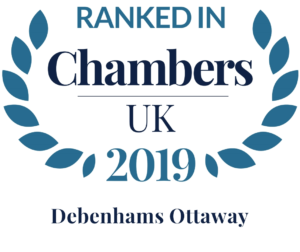 Acting for private individuals, developers and investors, he is passionate that clients receive excellent legal advice and service and is responsible for the firm’s accreditation under the Law Society’s Conveyancing Quality Scheme. As an accredited full member of Solicitors for the Elderly, Nigel also acts for elderly clients, helping them with property related matters as they approach later life. Nigel is very experienced in all aspects of residential property from the sale or purchase of existing freehold houses or leasehold flats to acting for developers or purchasers of new build properties. Nigel studied Law at the University of Birmingham and completed the Law Society Finals at Guilford College of Law and qualified as a solicitor in 1991. Nigel was formerly a partner and head of conveyancing at a regional firm of solicitors prior joining Debenhams Ottaway in 2013 as partner. In 2015 he was awarded the Solicitors for the Elderly Older Care in Practice Award. Nigel is the firm’s Senior Responsible Officer for the purposes of the Conveyancing Quality Scheme Accreditation. Buy-to-let – is it too late to invest? Why does it take so long to buy my house? Nigel is a highly personable individual with a strong customer focus and commitment to quality service delivery. Nigel manages to combine commercial, result focused action with a friendly and very human interaction. He is one of the good guys! Nigel has been absolutely outstanding. He had worked exceptionally hard and has gone way beyond the normal call of duty. He has also been extremely to us and has kept me fully up to date. Once again, Debenhams Ottaway has given us the most outstanding service. Thank you for handing the sale of our house. I very much appreciated all that you did to get the deal to completion! From my side it was very painless. Thank you to you and your team for all the help with the purchase of our new home. The service and advice was excellent throughout. We’ll be back in touch with Debenhams Ottaway to deal with other matters. In the meantime, I have recommended you to a number of colleagues.